I did have the dress shortened slightly. 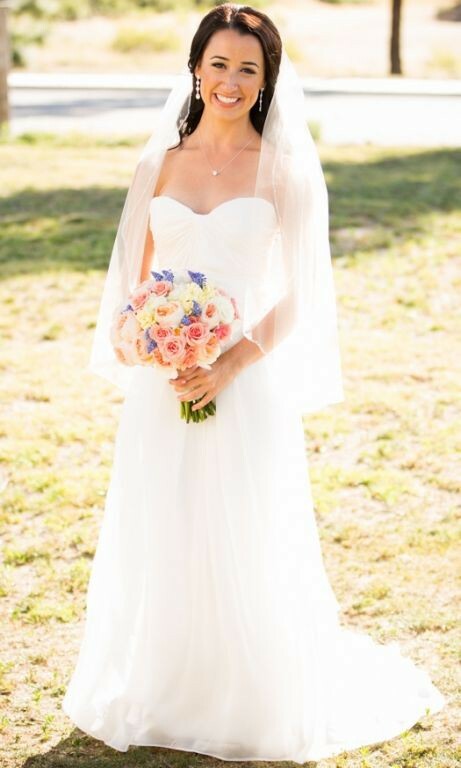 I am 5'2" and wore flats on my wedding day, the dress was exactly floor length. From the top of the dress to the bottom is exactly 48". The flare of the dress (i.e. bottom wide length) is 38".